Day-Ahead Locational Market Clearing Prices Analyzer (DAYZER). Cambridge Energy Solutions has developed DAYZER to assist electric power market participants in analyzing the locational market clearing prices and the associated transmission congestion costs in competitive electricity markets. Using DAYZER algorithms as a core, CES has published models for each of the competitive electric markets in North America and some larger regions such as the WECC. 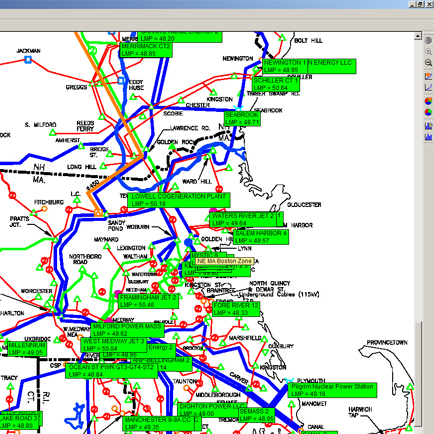 This tool simulates the operation of the electricity markets by mimicking the dispatch procedures used by the corresponding independent system operators (ISOs), and replicates the calculations made by the ISOs in solving for the security-constrained, least-cost unit commitment and dispatch in the Day-Ahead markets.